Learning how to store an acoustic guitar properly will help to extend the life of the guitar – and the quality of life of the guitar. 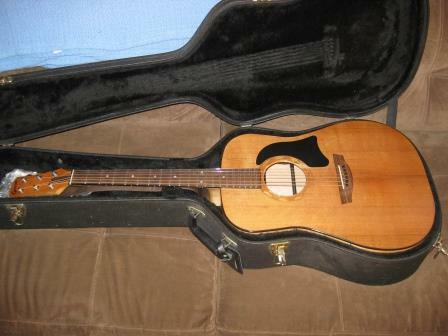 What Can Happen if My Guitar is Stored Improperly? 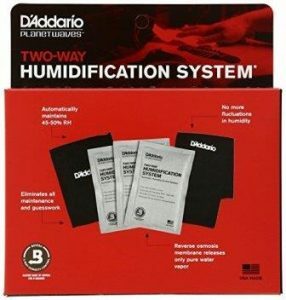 One of the biggest issues of storing a guitar is having the proper humidity levels. Incorrect humidity levels in either direction can cause swelling, warping, sinking or cracking. Also if you hang your guitar on the wall incorrectly or place it somewhere where something can fall on top of it – then you are also endangering your instrument. Humidity goes both ways. 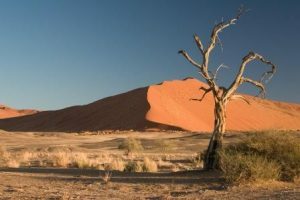 If it is too dry – i.e. the humidity is too low – then you risk the wood of your guitar drying out and even cracking. If it is too humid then you risk the wood swelling or warping and in some cases even growing mold. Whether you are likely to encounter too much or too little humidity will depend on where you live – and can also depend on the season. Often in the winter months – if indoor heating is used – the humidity is lower. Generally speaking these problems can occur after just a few weeks in very high humidity (80-90%) or after several months in fairly high humidity (60-70%). Relative humidity anywhere under 45% can cause your guitar to become too dry. So now we can see that different levels of humidity can have an adverse effect on your guitar – whether that humidity is too high or too low. So how to make sure that the humidity is right? You should try to keep your guitar at a humidity level between 45% and 55% ideally. In my opinion the best, and easiest, way to do this is to keep your house at this level of humidity. 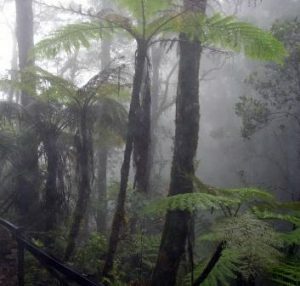 It just so happens that wood and humans prefer similar levels of humidity! Comfortable humidity for humans is between 25% and 60%. So keeping your house between 45% and 55% will be good for you and your guitars. This is obviously easier to do in a smaller apartment or house and more difficult in a larger home. There are other things you can do if you are unable or unwilling to keep your home at a humidity level between 45% and 55%. In this case try the following to prevent your guitar from getting too wet. Remove your guitar from its case (this presumes you store your guitar in your case) every now and then and dry the inside of the case with a hair dryer for 10-15 minutes. This will keep the case dry which will help to keep your guitar from getting too wet as well. Put silica gel pads in your guitar case and change these every few months. These will help to absorb any moisture in the case. Use something like the planet waves humidipak – this involves placing humidipaks in the soundhole (via a pouch that you get with it) and at the headstock. Like with the silica gel pads, your guitar will need to be in a sealed case for this to be effective. So if you are unable to keep your room at the right humidity then you will need to keep your guitar in its case and use one of the methods above. Again the easiest way in my opinion would be to get a room humidifier. That way you can also keep your guitar on a stand for easier access. You can also use the Humidipak to keep your guitar from drying out. It works both ways. It emits vapor when the humidity is too low and absorbs moisture when it’s too high. 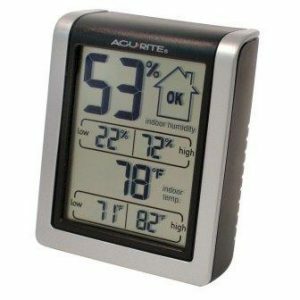 If you want to monitor the humidity then a digital hygrometer can tell you what the relative humidity is. I hope you now know more about storing your guitar properly. The best place to store your guitar is in its case. However, I find that leaving my guitar in its case is a physiological barrier to picking the thing up and playing it. That’s why I prefer to regulate the humidity in a room so that I can leave the guitar on a stand for easy access for playing it. How do you store your guitar? Will you do anything differently now? Any comments or questions very welcome in the comments section below. Should I loosen the strings (steel) or leave them at tuned stress? This is a great question. And one that is hotly debated! Some say to leave the strings at tuned tension and others argue that de-tuning them reduces pressure on the instrument over the long run. I would say for a steel string that if you were to loosen off I wouldn’t loosen off too much. Just because you’ve got a counter tension with the truss rod in the neck. So if you loosen off too much, then that truss rod is putting more pressure on the neck in the other direction. I’d say it also depends on how long you’ll be storing for without playing. If you loosen and tighten too much, then that also causes stress on the guitar, so if definitely don’t do it just for putting your guitar away, if you were going to be using it again within a couple of weeks or a month. If you were going to be storing it for a longer period of time – say for a year or something, then you could loosen off a bit but I wouldn’t loosen off by more than a tone, even then.